2K Games has listened to its legions of fans demanding little ceramic ladies to pair with their Big Daddy collectibles. 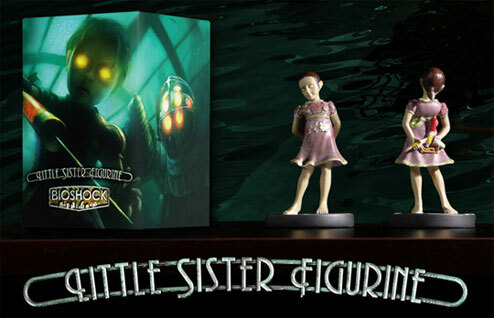 BioShock's Little Sister has her own unarticulated action figure. And now you can buy it. The Little Sister figure is available on the Take-Two store right now and supposedly in very limited quantities. This is a one-time production, they say, if that lights a fire under your arse. This three-inch tall recreation of the girl rich in ADAM can be yours for just ten bucks, a deal at just $3.33 per inch! Now all we need is a water-tight Rapture play set for bath time and we're all set. It'll be better than an Ewok Village and Capsella combined!